I.V. 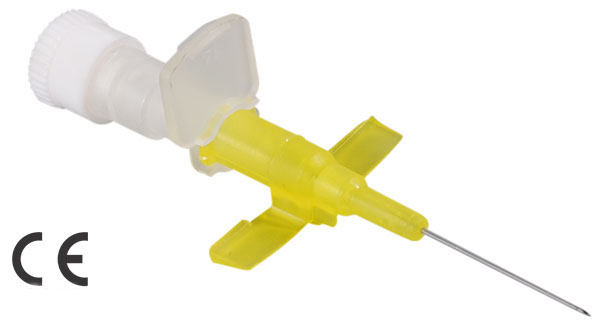 Cannula with wings without port for infants with a detachable collar on the wings which provides support and facilitates the easy insertion into an infants body. The collar can then be removed thus making the cannula flat for fixing on the body and avoids any interference with the body or accidental removal of cannula when the baby moves.